Today’s special and this week’s Weekly Feature will be a Roasted Garlic & Spinach Grilled Chicken! 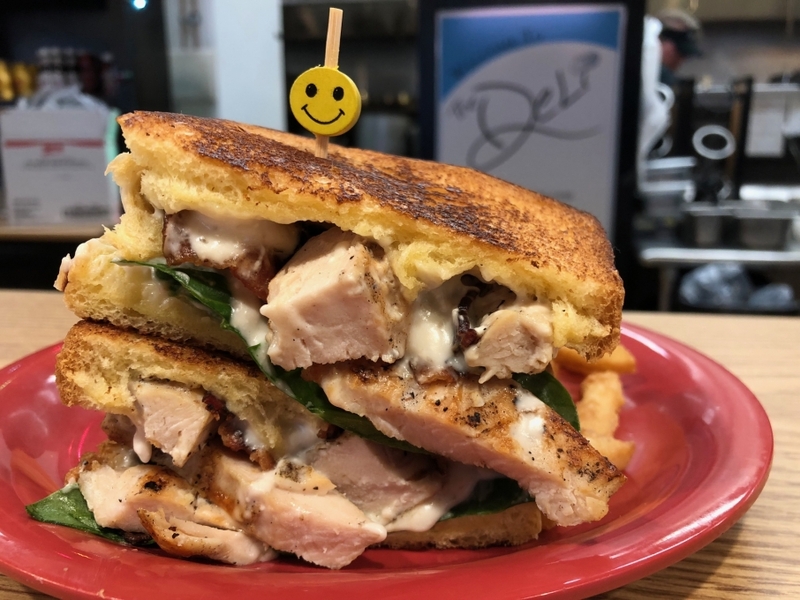 We have grilled chicken strips with applewood-smoked bacon, spinach, and a roasted garlic-mushroom cream sauce, served on toasted brioche with a side of french fries for $9.00! Soups today are Roasted Poblano, Tomato Florentine, and Creamy Chicken & Wild Rice, as well as our typical trio of Chili, Chicken Noodle, and Lobster Bisque.